A magic place. With countless possibilities. There isn't just one way of doing it. 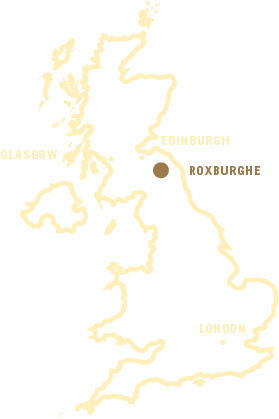 Here you will find a map showing how to get to the SCHLOSS Roxburghe and a list of our main contact people. Do you have a question about the SCHLOSS Roxburghe Hotel, SCHLOSS Golf, sporting activities or about our restaurants and bars? Please do have a look at our FAQ as perhaps we have answered your question already. If not, please don´t hesitate to get in touch with us. We look forward to hearing from you. Surprise your beloved with one of our wonderful gift vouchers. don't miss information about our events and specials. Please sign up and we will be happy to inform you about current specials and events at the SCHLOSS Hotel. Media library, Links and information. Press coverage, partnerships and other interesting tidbits: here’s the latest about SCHLOSS Roxburghe and SCHLOSS Golf.